Over the last twenty years factoring and commercial finance has established itself as an important form of finance for corporates, particularly the SME community. The unique structure and risk attributes of factoring and other types of commercial finance make it possible for these products to be offered where other more traditional forms of finance are either inappropriate or not available. Combined with the dynamic nature of factoring and commercial finance, which is directly linked to the performance of the funded company, this makes these solutions increasingly important within the current economic climate. The Factoring and Commercial Finance Industry has a proven track record in good risk management with a low “loss given default” ratio, even when financing SMEs who are generally considered as higher risk. This unique aspect of the Factoring and Commercial Finance Industry offers a great potential advantage in terms of Risk Adjusted Capital Requirements as prescribed by the regulatory rules in Basel II. Factoring and Commercial Finance offer companies a flexible form of finance with the possibility of outsourcing credit and risk management, improving performance and quality, providing access to leading technology, and freeing up key resources for strategic developments. Factoring and Commercial Finance have proven to be consistent financial instruments which stimulate the growth and success of companies. The potential for this market to grow and overcome many of the issues that currently exist in terms of small businesses funding is great. However there are still issues that hinder development. The legal environment across Europe is very different and, amongst other things is a barrier to market development on a European scale – and this is just one example. With the creation of the EUF factoring associations across the EU have come together to join forces and combine resources to improve the availability of corporate finance and will hopefully surpass these obstacles. Factoring and Commercial Finance occupies a unique place in the world of finance. The global financial crisis of 2008, resulted in many companies, particularly SMEs, experiencing greater difficulty in obtaining traditional bank funding. Factoring and Commercial Finance Companies however are experiencing increasing levels of new business enquiries and are continuing to write more new business than ever before. 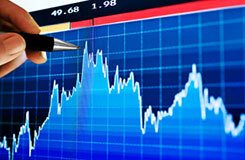 The finance factoring companies provide is secured by the underlying receivables, or other assets. With a much reduced emphasis on the balance sheet a factor is able to provide significantly higher levels of finance to companies experiencing temporary difficulties or those experiencing liquidity problems as a result of strong growth. It is therefore not a surprise that the Industry has become a key source of funding not just for SMEs but for larger corporates. Other examles include the funding of MBI and MBO transactions, M&As and Larger Corporates requiring further working capital for growth or diversification.